Light and airy, warm and cosy: For most, these two word-pairings don’t instantly go together. The Bogner family, however, have always been about defying expectations. In the 1950’s, winter athletes throughout the Alps and the world over could be seen speeding down the mountains in light, puffy, quilted blue jackets with iconic silver B’s hanging from the zippers. Made of down quilted into nylon, instead of wool or other heavier fabrics, these jackets were feather-light, waterproof, exceptionally warm, and also very flexible, making them perfect for skiers. Over the years, as quilting technologies became increasingly more refined, a wider range of styles of quilted jackets became available, aiding their transition from solely functional sportswear to a part of mainstream fashion as well. Tighter, more intricate patterns became more common, allowing the possibility of slimmer, more form-fitting cuts. The use of different textiles for the outer shells also allowed significant additional variability in terms of weight, texture and form. 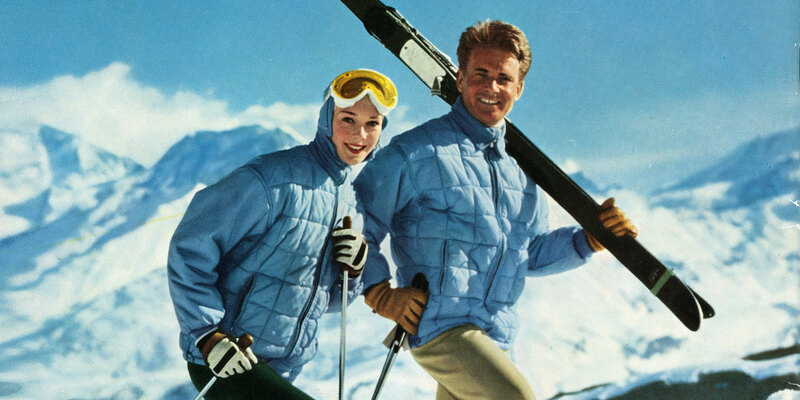 Popular from the 1960’s were tightly quilted, thinner jackets that did not look “puffy” on the wearer. The advantages of quilting span beyond simple functionality: The texture afforded by quilting offers a unique alternative to patterning for people who don’t really like patterns. Quilting is also extremely versatile: It can be used to create an entire piece, or can simply be added on as a small detail to the shoulders or inner lining, etc. In terms of functionality for winter sports, quilting also has the advantage of providing a light layer of protection for the wearer in the event of a minor tumble. In the 1960’s, Bogner became well known for a signature, extremely tight style of quilting known as “cigarette quilting”. This type of quilting is unique due to its tight pattern and cylindrical shape, which prevents seepage, makes for a “tighter” garment and creates an optically intriguing effect. Bogner is bringing back the style this year in a whole new way, using the narrow, rounded quilting patterns on modern, more elastic fabrics for a style that is unparalleled in its ability to keep the wearer warm and fit the body snugly, flattering the figure. Several fully- and partially-quilted pieces for women appear in both the Bogner Woman and Sônia Bogner Fall/Winter collections this year in a range of colours and styles: pieces which are the perfect blend of heritage and innovation that defines the Bogner brand.